Johima Abstract Paintings are Finally For SALE! I’ve been resting, taking a break, and now I’m back in full-swing! … ready to sell, and ready for you to buy art! How’s that for BOLD? I have two pieces available for sale through a wonderful collaboration, via Cedar Corner Art Gallery in Tofino, who is now representing me and my work. Freshly delivered and hung on June 30th, there are two Brenda Johima pieces available for sale in this West Coast gallery right now! And sorry, the bad news for you? YES, it is already SOLD. And, the Good News for you? If you love this one, I can create one very similar, (never exact), as everything I create is one of a kind, however, I can use similar techniques, and in the color palette of your choice. 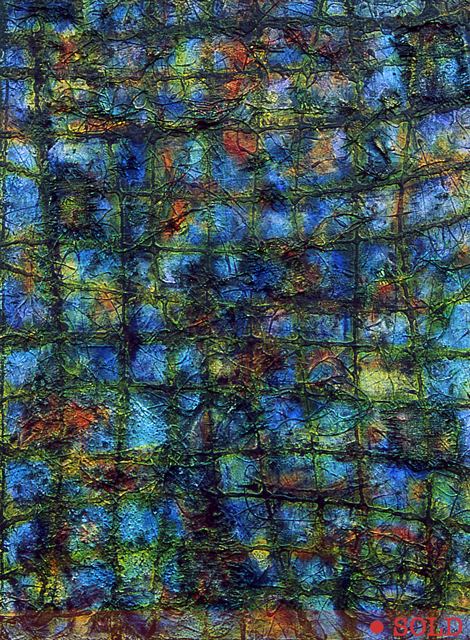 This multi-colored abstract mixed media grid painting is large in scale, at 36 inches X 48 inches and painted with acrylic and ink using a variety of techniques, including embedded objects, in order to achieve a multi-layered feature piece, suitable for any high end home, office, resort or hotel. 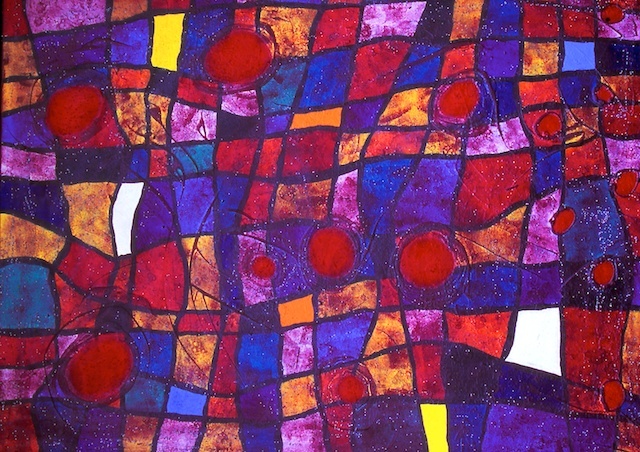 This abstract painting is 36 inches X 48 inches plus frame (included), and ready for hanging. 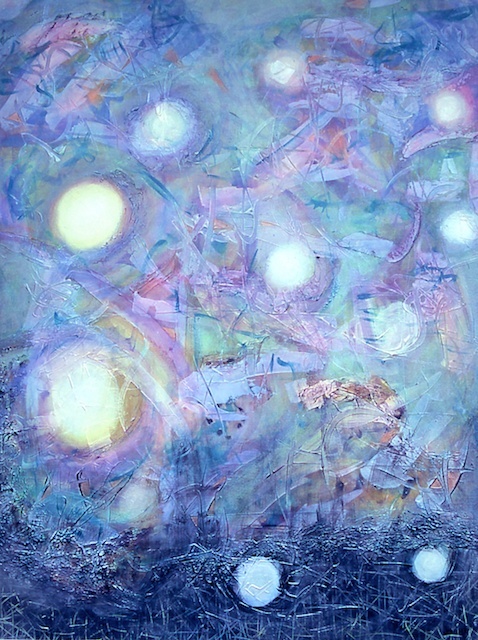 It was painted with acrylic and metallic acrylic inks, using a variety of painting techniques in order to create a calming yet energized feature piece, suitable for any high end home, office, resort or hotel. PreviousPrevious post:Abstract Landscape PhotographyNextNext post:Thank You To British Columbia Magazine!